Faced with limited budgets and resources, healthcare organizations have struggled for years to manage core technology requirements and meet pressing business imperatives. This has led many to focus on their immediate needs with little consideration for how they should or could participate in the broader challenge of healthcare integration and patient care. As a result, healthcare organizations have built technology data silos that hamper the ability to address two of the industry’s biggest pain points: data integration and interoperability. Tackling these issues can be complex, expensive and evolving; few healthcare participants have the knowledge, ongoing operational budgets and resources to meet the challenges on their own. In today’s consumer-focused world, society has little patience for a lack of proper data integration. When patients visit a hospital, they assume their personal primary care physician learns of the visit and receives relevant information about what happened. However, studies have repeatedly shown that is frequently not the case. Access to patient data across the continuum of care, whenever and wherever, is one of the most challenging issues for healthcare organizations to solve, yet it is one patient’s expect providers, payers and vendors to have tackled. They do not realize the difficulties intrinsic to handling personal health information, such as the need for data-sharing agreements, standards and legislative compliance, data governance, consent management, adequate privacy controls, scalability and flexibility, to name just a few. To enable timely access to healthcare data, systems need to communicate with each other using standardized protocols and terminologies over secure transmission connections. Some organizations invest in in-house development teams to connect their unique collection of systems together. While this approach may meet the short-term needs of connecting existing systems, it is unlikely to be future proof in any sense. In the long term, issues that were not considered initially such as ongoing, increasing maintenance costs and the inherent limitations of a custom development approach as the complexity increases, tend to restrict the growth and scalability of those types of solutions. A better option for providing interoperability is to implement a commercial off-the-shelf, purpose-built healthcare-focused integration engine and data platform. Such a platform acts as a universal translator and universal data storage vehicle for every possible system and data type transmitted within and between organizations. Unlike the do-it-yourself approach, buying a ready-built solution removes the complexity involved in working with disparate systems and data models by effectively and easily handling this for the healthcare organization. When handling large volumes of data, it is vitally important to ensure privacy and security at all points in the process. Data use agreements and compliance with applicable laws, such as HIPAA and the European Union’s GDPR, are essential to any platform. In order to be truly patient-focused, the system needs to include robust consent services to handle patient records correctly, especially in situations where a patient does not want part or all of their record shared. Look for a data platform that exposes data and services to third-party tools and applications using automatically generated FHIR and REST-based APIs to enable ready access to the data and services. Such data liquidity enables information to be made available at all points where it is needed in a secure and privacy compliant way. Additionally, users need to gain access to an ecosystem of healthcare companies and apps to innovate using open APIs. Developers can build their applications against a sandbox and easily deploy them into production environments. As new data arrives in the system, there is always the opportunity to use that event to share information with providers and care coordinators. Integrated notifications alert providers about their patients in other organizations and help with care coordination. For example, primary care providers could receive notifications of a patient admission or discharge from an acute facility when the data is inputted into the local system at the time the patient is admitted or discharged. The healthcare organization of the future will have to cope with much larger volumes of data from a broad range of new sources. Genomic data collection is already happening and will only become more common in the future. Additionally, consumer device data generates vast bursts of small data per person that should be incorporated into the data platform. Integrating and managing these new and emerging data types will be challenging or even impossible without the use of purpose-designed software. Integrating data from different sources brings new challenges in dealing with data that is often non-standard or of poor quality. The ability to enrich source data by code-mapping and normalization, message-sequencing and additional processing is an essential element in making interoperable data actually useful to clinicians. And, a system that can replay and extract any data when required enables an agile approach and is especially useful when dealing with non-traditional data types. As much as possible, the technology needs to come “out of the box.” Having pre-built integration configurations hugely reduces the service effort required to perform initial deployments, maintenance of the solution and system upgrades. 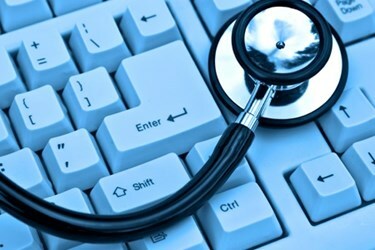 The primary purpose of leveraging an integrated data platform is to facilitate the delivery of patient-centric care by providing a range of benefits to clinicians, including timely access to comprehensive data, saving the time-consuming and error-prone task of hunting down the data themselves as well as improving the decision-making process. However, in an increasingly digital age, using and navigating different systems designed to improve specific and varying aspects of care delivery places a major burden on end users and results in the inevitable consequence of systems that cannot communicate with each other. Whether a healthcare organization decides to tackle data integration on their own, or work with a third-party partner for a solution, systems need to communicate with each other using standardized protocols and terminologies to push patient care forward.